This weekend we have recognised the Women of the world. Young, old, students, workers, mothers, sisters, friends, cousins, gay, straight, transgender, Indigenous women and women who are marginalised. We recognise the women who have had to struggle to enable us to have our voice and we recognise women who are still fighting to gain equal rights. 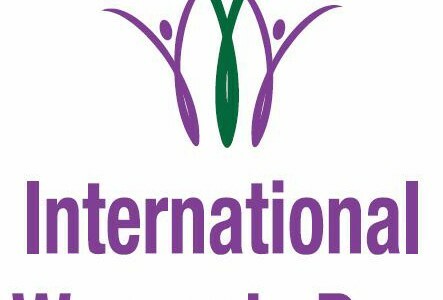 “International Women’s Day is a day to recognise the contribution of all women across the globe, including women in the LGBTQ community”, says CAPA Women’s Officer Ruk Senevirante. “Women and children have not always shared equal rights and in many ways we still do not. We have been making progress in the recent years however; we still have a very long journey ahead of us. It is imperative that we find new and creative ways to get our message across”. Postgraduates at campuses across Australia are being urged to take a short survey reflecting on their student experience and the Student Services and Amenities Fee: https://www.surveymonkey.com/s/WCJRZJN. CAPA Affiliate campuses have received posters and t-shirts to assist them in promoting the SSAF Survey campaign, the results of which will be compiled into a report for the incoming Senate this July. Need materials? Get in touch with Meghan directly to promote the SSAF Survey at your campus: president@capa.edu.au. “This survey is an important opportunity for postgraduates to let the new Senate know what they think, and to reflect upon their need for strong student-controlled services and amenities on campus” said CAPA President, Meghan Hopper. Hopper said that many more responses to the survey were needed for it to provide an accurate reflection of the postgraduate population. “We’ve had strong early responses from key campuses like the University of Newcastle, Griffith University and the University of Technology Sydney, but we are reluctant to let a few campuses dominate the debate” Hopper said. “It is important that other Universities like the University of Melbourne, the University of Wollongong and Edith Cowan University, just to name a few, are equally represented” Ms Hopper said. “Key Senate representatives have told us that they are eagerly anticipating the outcomes of this report, but it will only be relevant if a diverse range of postgraduate voices are heard” said Ms Hopper. The SSAF Survey takes around five minutes to complete and comprises of only seven short screens of questions. Take the survey now: https://www.surveymonkey.com/s/WCJRZJN.